1. Does Habitat for Humanity give houses away? It’s a common misconception that Habitat for Humanity builds houses and then simply gives them away. We do not give houses away as that would be an entirely unsustainable nonprofit. We believe in giving people a hand-up, not a hand-out. Habitat manages affordable mortgages for our houses, and our Partner Families pay their houses off just as anyone else would. This is why one of our requirements for our Partner Family is “the ability to pay.” We want to be sure the families can afford the house to avoid foreclosure. Partner Families also put in 350 hours worth of sweat equity – work on the house. 2. 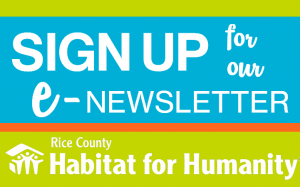 Does Rice County Habitat take donated household items? 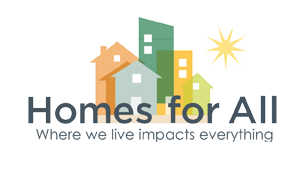 Habitat for Humanity ReStores – there is not a ReStore in Rice County but there are several around the state. 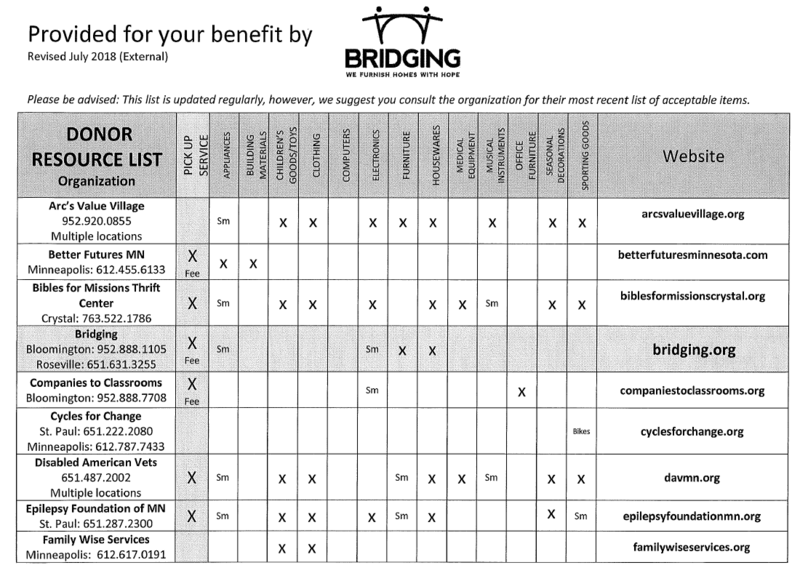 Here is a LIST from Bridging that provides other agencies that may take specific items. 3. 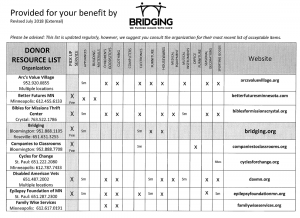 Does Rice County Habitat take donations of building supplies? 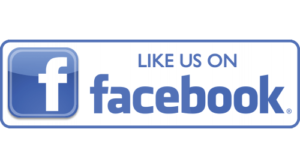 In some cases we do take donations of building supplies depending on our needs and storage capabilities. Email Dayna (habitatricecounty@gmail.com) for specifics or with a photo of the donation you have. 4. Are their age limits for volunteering on a build site? Unfortunately, no one under the age of 18 is allowed on the build site. 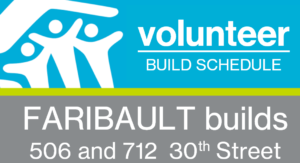 Prepare and bring a meal to bring to the volunteers on the build site. Prepare and bring snacks for morning or afternoon – you can make some cookies or bars to bring out to the site (or make a bunch and we’ll freeze them to use in the future). Have a fundraiser at your school or church for Habitat. Be as creative as you want: offer to babysit and have the pay go to Habitat, offer to rake leaves of a neighbor and have the pay go to Habitat, have a bake sale, collect coins at your church and you can pick out an item for the house to buy, or come up with something us completely.